A couple of quick new location lists covering Annapolis and Frederick, Maryland, featuring A&P, Safeway, Acme, Food Fair, Giant, and more. Lots more from this region in the coming weeks. Photo above is the former Safeway at 1031 Bay Ridge Avenue in Annapolis. More precisely, happy birthday to Groceteria.com, which was born fifteen years ago today as a post on another site. It was part of some of the earliest research that eventually became Groceteria.com. 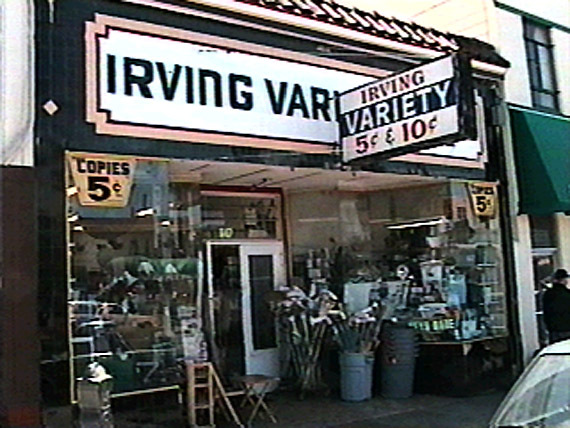 The post noted that this storefront on Irving Street in San Francisco was originally one of the earlier Safeway stores in the city and also mentioned that there had been Piggly Wiggly stores in San Francisco. Further, it suggested that there would be more to come on this subject. 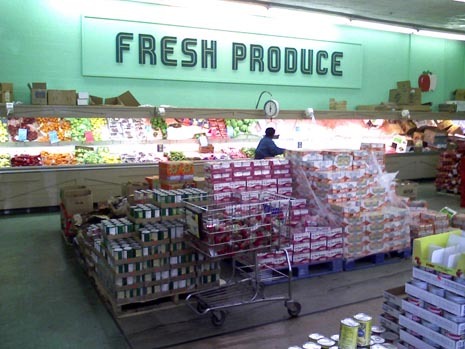 Back in 1999, there was very little information online about the history of supermarkets in the US and Canada. To say that interest has grown would be an understatement. I like to think this site had some part in all that. Things have been a little less active here the past few years due to work pressures and a lot of family issues for me, but I’ve been working on things a lot more lately, adding features and content, and I hope there will be ever more new stuff in the coming months. Yes, I know it’s been a year. And yes, I know that I haven’t been answering email and that there have been problems with the Message Board. I have had personal issues and other things that have kept me extremely busy and I apologize. Washington DC: New address spreadsheet. 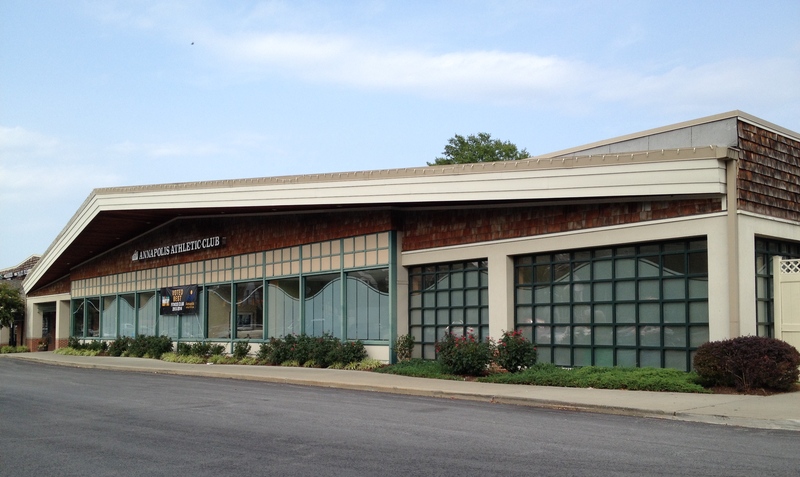 Asheville NC: Updated address spreadsheet. Fayetteville NC: Updated address spreadsheet. Gastonia NC: Updated address spreadsheet. Abilene TX: New address spreadsheet. Flagstaff AZ: New address spreadsheet. Sorry for the long lapse in content around these parts. My personal life has been less than optimal the past few months (long story) and I’ve also been very preoccupied with work. Atlanta: A location spreadsheet covering 1930-1991 and a new photo gallery. I envision some narrative here soon. Boston: A location spreadsheet covering 1955-1974. Los Angeles: A location spreadsheet covering 1932-1942. Portland (OR): A location spreadsheet covering 1956-1962. Tomorrow (if my enthusiasm holds out), I’ll be posting location spreadsheets and photo galleries for Pittsburgh and Columbia SC. And soon, I really will be completing the updated history of Safeway that I started a few months back. While doing research for some long-promised updates on the site, I ran across this ad from 1941 that lists six new “deluxe drive-in” Safeway stores in Spokane, Washington, along with a list of all then-extant stores in the city. 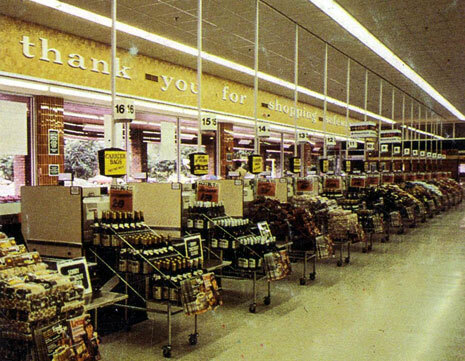 It gives a great picture of Safeway’s presence in one city at the time, as well as providing a glimpse into the state of the chain in general. 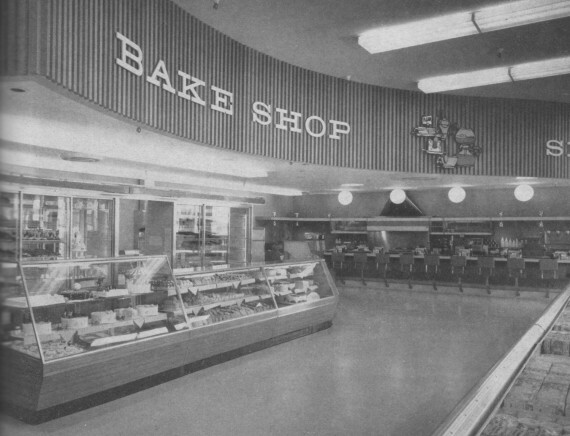 By 1940, Safeway had moved decisively into the “supermarket” era after a somewhat conservative start. 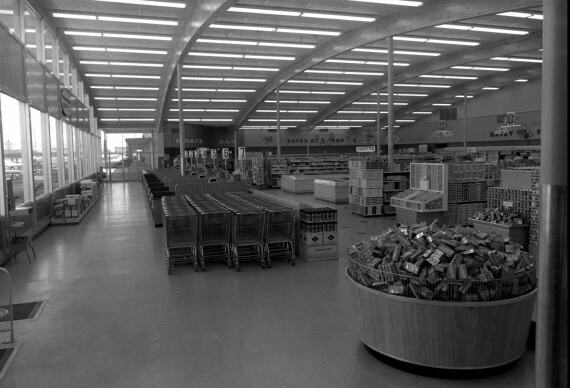 New stores at the time averaged 6000-6500 square feet and boasted tiled meat and produce departments and employee showers. 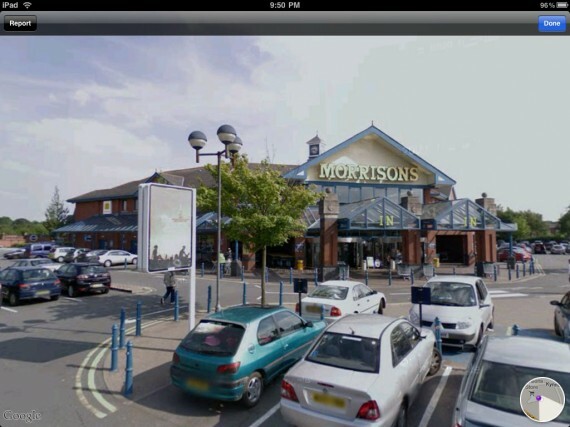 These stores were also among the first to feature parking lots as a standard amenity, usually to the side of the store and approximately the same square footage as well. Safeway had been building some stores with parking lots as early as the late 1920s, but they were far from universal. In fact, in 1940, Safeway was operating hundreds of older units in taxpayer strips or on the first floors of apartment or commercial buildings, most of which were a fraction of the size of the new supermarkets and some of which dated from the 1920s and had originally operated under any number of other brands. 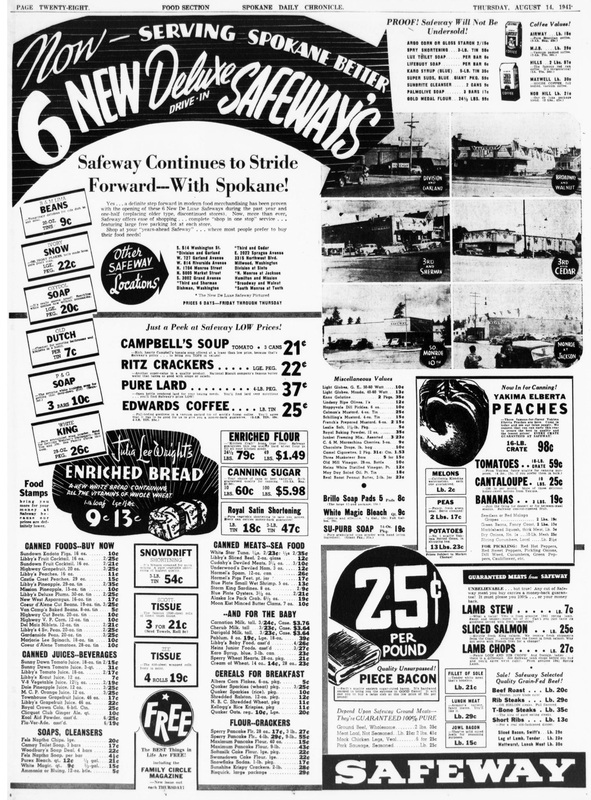 The Spokane stores, for example, had largely started under the Piggly Wiggly, MacMarr, or Pay’n Takit names, all of which had different points of entry into the Safeway corporate structure. Just a check-in to remind you that yer humble host is still alive and well, and will be graduating with his shiny new master’s degree in just a couple of weeks. I’ve also taken a full-time job as a digital project manager at a large state university library. The combined forces of a new job and my last semester in school have taken their toll on the site, I know, but I’m hoping to get the momentum back soon. 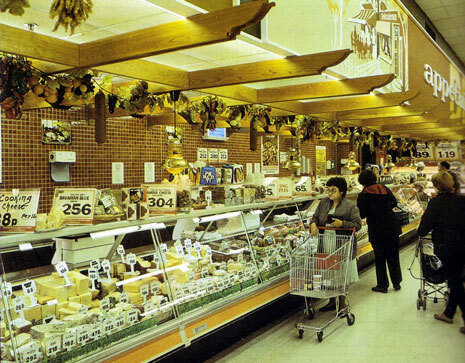 Currently in progress: my revised history of Safeway (still), new photo galleries for most of the site, and my history of chain supermarkets in Pittsburgh. I also have articles on the way from other contributors (more soon). Great 1984 commercial for Safeway Super Stores found on YouTube. The redesign and re-platforming of Groceteria.com continues, and I actually see it being compete within a few weeks, and definitely in time for the site’s ten-year anniversary in July. 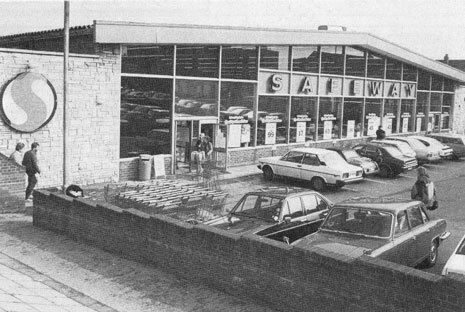 A great photo of a 1960s Safeway in Blackfen, in southeast London, sent to me by Nic Ayling. 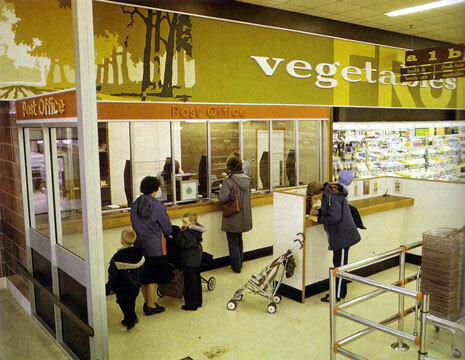 It’s rare to find photos of UK Safeway stores from this era. He also included some interiors (of a different store, I believe) that demonstrate how Safeway was using more or less the same designs on both sides of the Atlantic in the late 1960s and early 1970s.